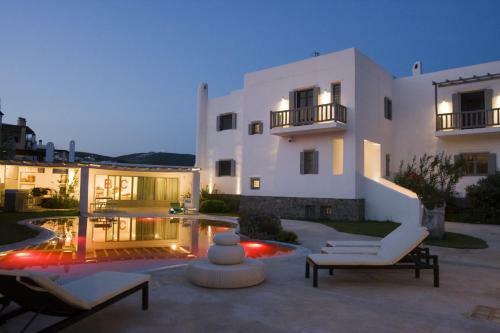 Dream Villa is located next to the beach in Vari, Syros. The villa offers to its guests garden, bbq	and outdoor pool. The young guests of the villa will benefit from the games room. The rooms provide sea view, pool view and garden view. Amenities of the rooms include a/c, heating, tv, satellite channels, fridge and more. In the bathroom there is hairdryer. In the kitchen there are toaster, hot plates, dishwasher, fridge and oven. The villa does not accept pets.